The Jewish Studies Program seeks to make each student's academic experience at QC as invigorating and exciting as possible, in and out of the classroom. Hence we have initiated a variety of extracurricular opportunities and venues for the enhancement of student growth and fulfillment. 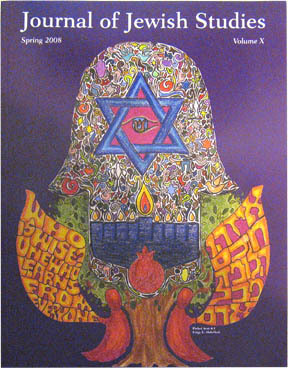 The Journal Of Jewish Studies publishes essays, fiction illustrations, photos, poems and all other expressions of the Jewish experience. A communal internship for upper class students has been established to enable them to experience the actual lifestyle of agency executives, to engage in specific projects within an agency or institution, and, as a result, to better gauge whether communal service is a viable career option. These internships are for credit, not pay, and are available on a semester by semester basis. 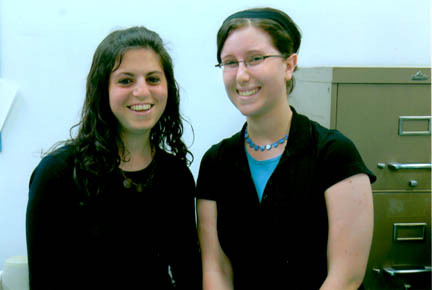 Internship opportunities are available in areas of Jewish education, social work, journalism, archives and museums; logistic considerations and placement is worked out between the intern and the Jewish Studies Program director. To date, several local Queens and national Jewish organizations in Manhattan have agreed to participate in our internship program. Students will be required to do readings relevant to the type of internship they have and to write critical papers and essays on the material. We have just opened up a student lounge that is equipped with one PC and one MAC-- both connected to the WEB-- as well as a printer and scanner. All equipment is available for student use. Over time, we will be purchasing more and more software to meet student needs and demands. This lounge also has a conference table with chairs, and can serve as a study hall and library or a gathering spot for shmoozing. In the future, we anticipate holding student-faculty discussions on an ongoing basis in the lounge. To date, we grant the following awards and prizes recognizing student achievement. A. William Fenster Memorial Scholarship established by Mrs. Marian Fenster in memory of her husband. The award is given to a student at the junior level on the basis of merit and need. B. Morris Flatow Award established by Mrs. Miriam Flatow in memory of her husband. 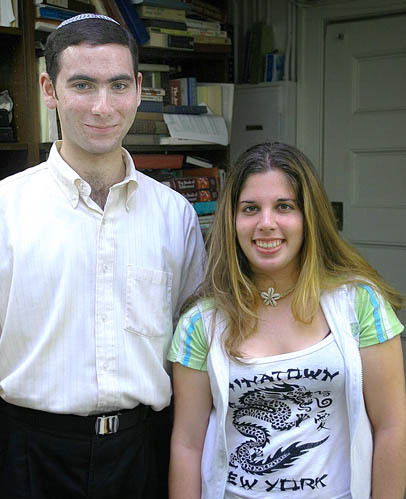 Given to a graduating senior in recognition of academic achievement in Jewish studies. 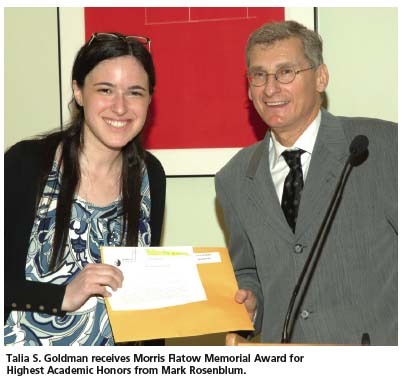 C. Helen Rudolph Memorial Scholarship established by Mr. Morris Rudolph in memory of his wife. This scholarship is granted to an Adult Continuing Education (ACE) student majoring in Jewish Studies with junior standing. If an ACE student is not available, the scholarship is given to a deserving undergraduate student majoring in Jewish studies. D. The Center for Jewish Studies Award established by the Center for Jewish Studies on behalf of the Jewish Studies Program. It is granted to a student who has promoted the health and wellbeing of the Program on campus. 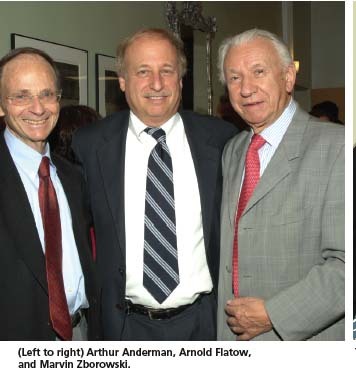 E. The Hratch Zadoian Award in Holocaust Studies established by the Assistant Provost of Queens College, Hratch Zadoian, to foster excellence in Holocaust education on campus. The award is given to the best essay written during the course of the academic year on the subject of the Holocaust. An academic panel of judges evaluates the submissions and selects the winner. All awards carry significant cash prizes with them. These are sponsored by the Center for Jewish Studies for the campus and general community. Students may on occasion receive credit for participating. PLEASE SEE THE SPECIAL EVENTS CALENDAR FOR A LISTING OF FORTHCOMING SPECIAL EVENTS. 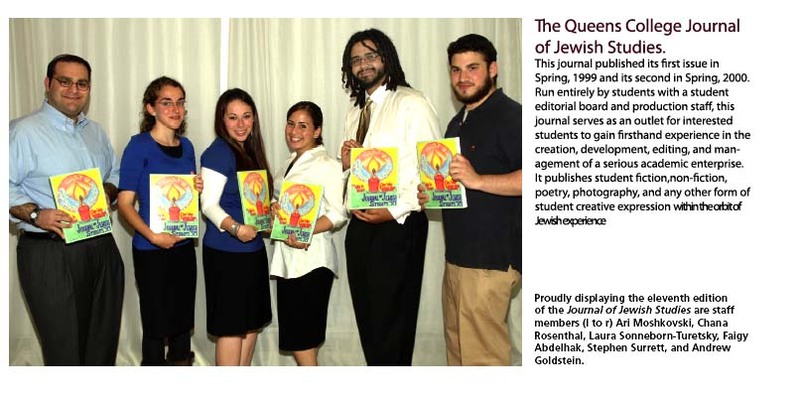 The Jewish Studies Program organizes its own graduation party for majors and minors that complements the general Queens College graduation and that provides a more intimate setting to mark student departures from QC. This festive event is held with music, humor, a speech or two, the distribution of student awards, and a dessert reception. Each graduating major and minor from Jewish Studies receives a parting certificate and gift from the Program. Students and their parents much appreciate the personal touch of the evening, which is enjoyed by all.